As father and son, Yuri and I bonded over Spring Break. It was a chance for us both to grow up a little. A week at my parent’s house. We played. We fought. We learned. Yuri zip-lined from tree to tree, stayed where John Wayne kept his guns, started reading my book, and got harassed online for the first time. As a martial art, Brazilian Jiu-Jitsu stands apart. It requires live matches as a regular part of training and provides solutions to fights that won’t end in civil lawsuits. Many physical disciplines have a host of benefits beyond their main focus. Yoga offers more than stretching. Boxing offers more than punching. Jiu-Jitsu offers a robust package within a playful wrapping and shared by a tight-nit community of old souls. It is a challenge in time, money, pain, and injury, but for both my son and I, it has been a worthwhile year at Renzo Gracie Academy, Portland. Why do something that hurts? “Fighting is the best thing a man can have in his soul.” -Renzo Gracie’s words on my gi’s collar. It’s easy for me to lose a day, a week, a year doing nothing I can take pride in. There is always the easy path away from challenges. In another life, I’d be alone and drifting, avoiding pain and purpose. Every time I ride my bicycle to Jiu-Jitsu class, I think about quitting. For enjoyment: Only eat a Reaper Pepper mixed into a recipe. Tuna sandwiches and chili both work well. For a challenge: Eat something first and have stomach medicine on hand. A whole pepper or that One Chip is good for laughs, but there is no good reason to feel heartburn afterwords. Yuri treasures my tears. This doesn’t make him a monster, but he is a hunter. From nerf gun wars to jiu jitsu I’m setting up outlets for this aggression so he doesn’t skin me in my sleep, and gains self control for school. My wife and I disagree about him taking joy in another’s agony. Whether a pepper, a choke, or a soft dart in the eye, I take the pain with a father’s pride. He’s eight and half-way through third grade, and I see more of myself in him every day. 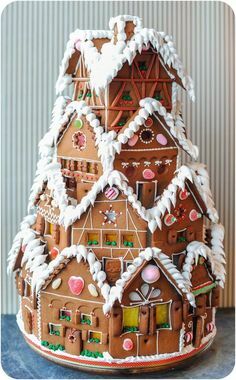 My son and I have been snacking on the gingerbread house he brought home from school. He legitimately thinks Santa Claus has been eating most of it and additionally is trying to hide how much he himself has been eating. It is a straightforward relationship. We have broken tradition a little bit by gradually filling the stockings and torturing Yuri by telling him he can’t peak at what Santa brought. Self-control is difficult with presents and sweets. There is a gilded statue of Joan of Arc that my son sees everyday from his school bus. She crowns a roundabout astride a horse and was given to Portland to honor our soldiers of the Great War. He asks, and I tell him the truth. She was a religious fanatic who was burned alive. He wants to know more, and I struggle with how to expand. We haven’t had the religion conversation yet. I decide it can wait until he learns there isn’t an actual Santa Claus that comes down the chimney, an Easter Bunny that hides plastic eggs, or a tooth fairy that buys his teeth while he sleeps. So I distract with another topic. Realizing my bicycle was stolen a few weeks ago was a familiar sinking feeling followed by impotent rage. I have a special attachment to my main mode of transportation. I only got a driver license because my wife demanded it before having a baby. She was not reassured by my suggestion of strapping her to a bike trailer. I held back on suggesting she could just pedal herself. I’ve been pedaling as long as I can remember. The big wheel was pure fun, but when I got a bicycle I got freedom. I remember in Hawaii riding my new bike the morning after Christmas barefoot and still wearing my pajamas. What does violence look like in a passive aggressive culture? It is commonly understood that violence is a bad thing. I disagree. I think violence is all around us, and that it in itself isn’t a bad thing. What’s toxic is when bullying is combined with violence. Mugging someone to steal their purse or wallet is bad. Punching a friend in the face can be good. Context has to matter with something so sweeping. The intentional use of physical force or power, threatened or actual, against oneself, another person, or against a group or community, which either results in or has a high likelihood of resulting in injury, death, psychological harm, maldevelopment, or deprivation. Their definition makes it sound terrible, and I’m glad it is declining worldwide. But, is passive aggressive conflict rising to take its place? And, is it politically correct of me to ask? It will take more than head games to stop me. You may have invaded my mind and my body, but there is one thing a Saiyan always keeps. HIS PRIDE! The novel (Destiny’s Hand) I’m working on takes place in a future setting far advanced down a path of non-violence. This does not mean life in it is fair or healthy. For better and worse, a passive aggressive culture won and rules. A slap can be very honest.